This week, we present music from London on fiddle, harp and uilleann pipes. 00:00 Composer and fiddle player Aidan Burke from West London Comhaltas plays three reels which he composed, called “Feel the bow,”, “Thanks to Gavin” and “Burke’s”. He continues into a jig version of the old reel “Jenny’s Chickens” and concludes with his own interpretation of that reel. Aidan plays a fiddle made by his father John, featured in the next item, who with his wife, the late Joan Burke, has achieved so much in promoting Comhaltas and traditional Irish music and culture in the London region over the last five decades. 07:29 John Burke (senior) emigrated from his native Co. Sligo to England in 1951 and with his wife, the late Joan Burke, joined the Comhaltas movement. Their contribution to the promotion of Irish music and culture has been immense and in the last ten years John has been very successful in the craft of fiddle making. Here John gives a brief account of his involvement in fiddle making. 08:30 John Burke (Jr.) plays two jigs on one of his father’s fiddles: the first was composed by Josephine Keegan and the second was composed by John Whelan, well-known accordionist, who lived in Luton, England before emigrating to the USA. Even though John and Aidan Burke (featured in segment #211-1) are brothers and both play fiddles made by their father, their playing styles are strikingly different. 11:30 Comhaltas Youth Officer for London, Katie Crean, commenced playing classical music on concert flute and after a few years took up traditional Irish music on the harp after some lessons from well-known fiddle player and teacher Brendan Mulcaire. 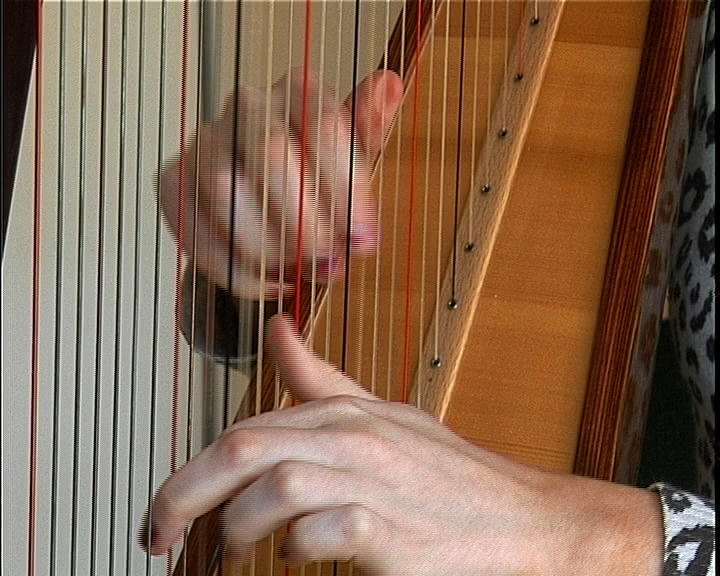 Katie, whose parents are from Tralee, Co. Kerry, plays an old Irish air, “The Foggy Dew”. 13:14 This weeks’ Tutorial tune is a four-part jig, “The Maid at the Spinning Wheel”, played on uilleann pipes by Tim Dowd, well-known on the traditional music circuit in England. 17:38 Switching now from uilleann pipes to concert flute, Tim Dowd continues with another selection of jigs. Both his uilleann pipes and concert flute were made by the late Dave Williams from Grimsby. You can look forward to next weeks’s programme, featuring music from North America, including James Keane, Randal Bays and Daithí Sproule, as well as the maker of the famous Edgley concertinas. You may also download the audio track directly. ComhaltasLive #211 - 3: John Burke, Jr.